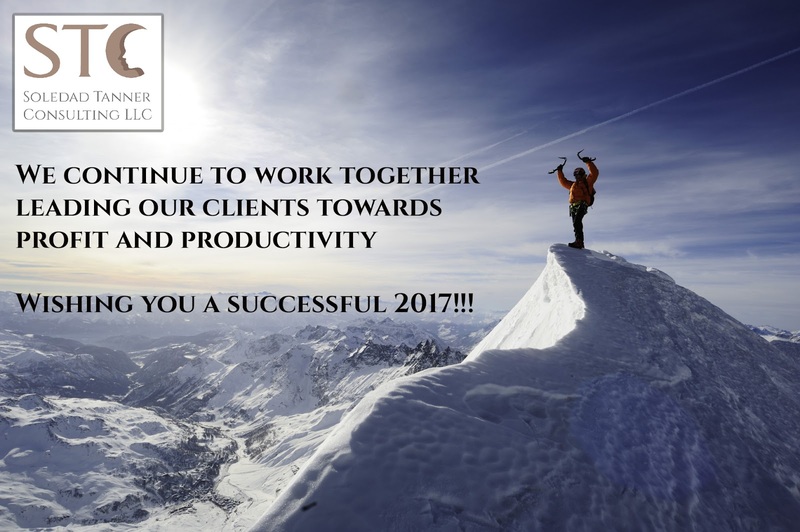 Soledad Tanner Consulting : Wishing you a successful 2017!!! Happy New Year!! Do you need help with increasing the profit of your company? STC analyzes your organization and provides a diagnostic and coordinates the implementation plan. Call me at 832-998-2136 for a complimentary consultation. For more info, vwww.soledadtanner.com.